We welcome individuals, family, and groups to experience the thrill of backcountry fishing and fly fishing with Deadwood Outfitters fishing guides. Plan your Idaho Fishing Trip with our Idaho Fishing Guides by power boat on two of Idaho's great fisheries: Pristine Deadwood Reservoir and beautiful Cascade Lake. Venture out on the many Fly Fishing opportunities for trout on pristine high mountain lakes, rivers and streams. Great fishing and fly fishing, great scenery, and a great time will be had by all on all your Idaho fishing trips with Deadwood Outfitters. Make the most out of your fishing trip with our experienced fishing guides offering fly fishing instruction for beginning and novice fly fishermen with expert tips, techniques and best locations for fishing. A magnificent scenic drive brings guests to Deadwood Outfitters backcountry Idaho Fishing Lodge. Our rustic two-story cabins hidden amongst the pine trees easily accommodate large groups. Hearty dining, hot showers or a soak in our wood-fired hot tub under the stars of night are a welcome end to a long day of fishing! 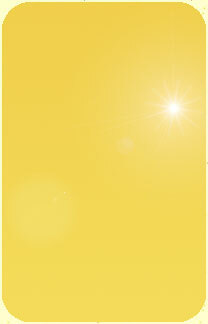 Planning an Idaho vacation with your family and friends? Let us customize your fishing trip at Deadwood Outfitters Lodge to include summer activities to appeal to everyone in your group! Step back in time and experience the West in all its' splendor. With Deadwood River just steps away from base camp, gentle well-trained horses to meander on scenic horseback riding trails, many scenic and wildlife photography opportunities, pack trips, hiking, wood-fired hot tub, delicious meals enjoyed with all guests, shared stories and much laughter to be had by all. You will find something for everyone in your group to enjoy, creating a lifetime of memories. Fish all or part of your Idaho vacation without a fishing guide and enjoy all of Deadwood Outfitters' access to wilderness streams, rivers and mountain lakes. This Non-Guided Fishing trip is perfect for the experienced fisherman. Fish for a day or two with one of our experienced, Idaho Fishing Guides. Then venture out on your own to fish in the peace and quiet of many backcountry lakes and streams. Experience a great fishing trip, even without a fishing partner. Our experienced fishing guide is available to offer concentrated fly fishing instruction and techniques. Our greatest complement is our return fishermen year after year! For regulations and additional information about fishing in Idaho, visit the Idaho Fish & Game Department. 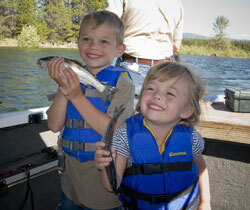 Click here to apply for an Idaho fishing license. 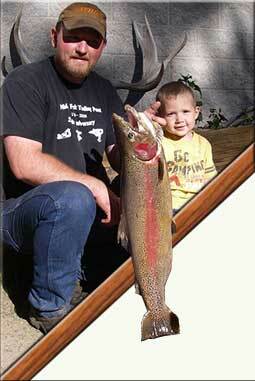 $600/day plus tax with our Idaho Fishing Guide and boat that comfortably fishes four people! Includes lodging in rustic cabins, meals, and equipment. All fishing trips can be planned for power boat fishing, float tube fishing, fishing on the river banks and even a combination of all! Sign Up Today - Receive Promotions & Event Updates from Deadwood Outfitters!